Bacteria resistant to prevent harmful bacterial growth Approved by SAMEER (Society for Applied Microwave Electronics Engineering and Research) Radiation Safe Mobile Chip is a reliable solution against the hazardous radiation from mobile phones. 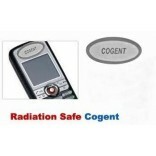 It protects the brain and ear tissues from thes|ee harmful radiations. ADVERSE EFFECTS OF EMR : Electro-magnetic radiation is dangerous in many ways including Infertility Ear Tissue Problem Alzheimer High Irritation Levels Nausea Tiredness Giddiness Heart Malfunctioning (Missing Beats) Brain Malfunctioning (Brain Waves Disorder) Hypertension (Collision of energies) Constant exposure will lead to Cancer, Brain Tumours, Heart Diseases and Many More Fatal Illness. EMR puts all of us in some kind of danger, but the most affected are those who have lesser resistance like kids, medically unfit, pregnant women and old people. Adverse Effects : The remarkable growth of new technology is receiving public concerns about various ill effects of RF Radiation Exposure, dangers perceived from falling of these towers during earthquake even with little seismographic disturbances. The adverse effects of RF/Microwave Radiations were recognized by the erstwhile USSR and, in fact, the same was used as a weapon to create mental disturbances, instability and high anxiety. The same was utilized by illuminating US Embassy in Moscow with high power Microwave Radiations. (1) Slowly and slowly when the adverse health effects started coming to the notice of medical and radiological scientists certain measures were taken in advanced countries to formulate guidelines and to regulate exposure limits within safe levels. The RF Exposure adversely affects implanted Pace Maker and becomes rhythmical. These radiations may stop Pace Maker from delivering pulses in a regular way or may generate some kind of external controlling pulse putting the patient to death. Product Overview:-New & Improved Cell Phone Signal Booster! New & Improved Cell Phone Signal Booster! 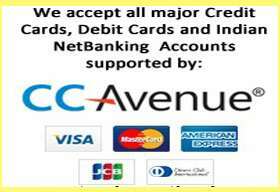 Works for all mobile phone brands and models! Easy installation as long as you know how to remove your phone battery. New and Improved Generation X version for as low as a price with free shipping! The Antenna Booster is a passive device designed to capture stray radiation in the body of the phone and to re-radiate the signal to improve the phone's performance. AS SEEN ON TV for $19.99 + $5.00 shipping! These are brand new, individually wrapped in the black packaging. Don't be fooled by cheap imitations that doesn't work, or the older generation 1 version! 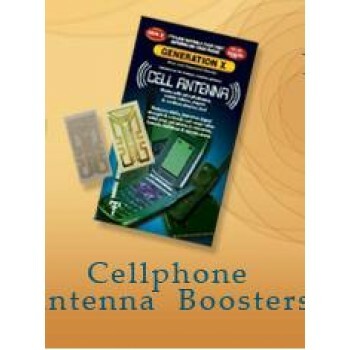 Our new generation X cell phone antenna boosters are better than ever! The antenna booster is now stronger, and comes in a shiny gold color. It also comes with instructions on how to install and test your new antenna booster. 1) Huge impact - like having a 4 foot antenna on your cell phone. 2) Improves Reception, Reduce Static in boats, elevators, cars, buildings, tunnels, and mountains. 3) Works on any Analog, Digital, and Tri-band phones. 5) Easy to install, simply peel and stick to the inside of your battery compartment. 6) Each Booster is individually packaged ready to be given as a gift or for resale! Nokia Before Internal Cell Phone Antenna BoosterNokia After Internal Cell Phone Antenna BoosterThese Boosters are not only for Cell Phones... They can also boost the reception on Two Way Radios, PDA's, Walkie Talkies, Beepers, and even Cordless Phones in your house. 1) Remove your battery from the phone. 2) Clean and dry the area close to the device internal antenna where you want to apply the booster. 3) Carefully peel the booster from the backing. 4) Apply the booster into the phone( in the same direction of the existing antenna if possible). 5) If there is room for another cell phone booster, then go ahead and install a 2nd one. 6) Replace your battery and watch the signal increase! Cell Phone Antenna Booster StickerDoes it really work? Don't believe the hype? Check out this letter that a customer wrote to us after receiving his product! Here is an independent tests, ran by a major TV stations, which has shown improvement to clarity and strength of signal. 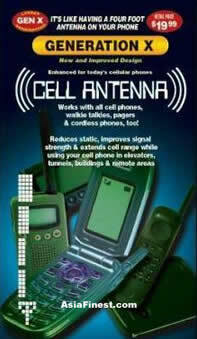 Watch out for fake Cell Phone Antenna Booster that other stores might sell. We get our Cell Phone Antenna Booster directly from the one and only supplier. On Sale for a limited time only! $1.99 with free shipping! By Popular Demand. We also offer Bulk Wholesale Rates! You can change the quantity on the order page. International Orders - If your shipping address is outside of the United States, please use these links to order. The orders will be shipped via First Class USPS. Sell them for a huge profit or give them away as gifts! 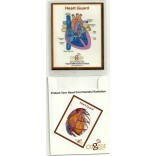 Bulk Wholesale orders of 1000 or more might take up to 2 weeks to arrive. 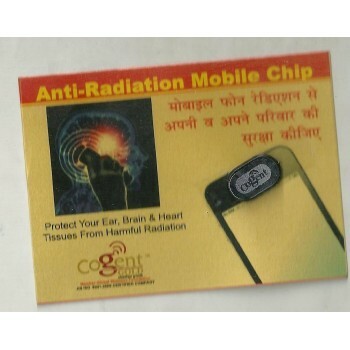 Be sure to check out our Safe Guard Cell Phone Radiation Blocker & Wave Filter Stickers and other cool Asian products.